Managers strive for business success and excellence. However, few attain it and if they do, only fewer survive decline. Why do businesses succeed or fail, and how can success and excellence be achieved and sustained? Leadership is construed the major responsible factor. Is it true that organisations whose leadership is strong tend to perform well and can be said to be sustainable? 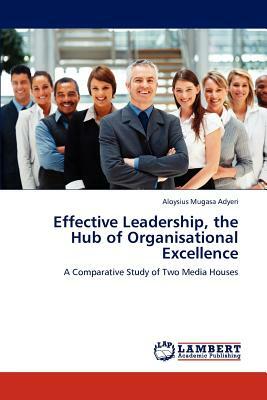 This work is based on the hypothesis: Sustainable performance and excellence of organisations is primarily a function of effective leadership. We investigate how efficient leadership leads to organisational excellence with a number of practical conclusions based on cases, schools of thought and experiences of organisations of sustainable excellence. Two Ugandan media houses are compared to show how each strives for excellence, and the factors responsible for their achievements or failures. This book has three main parts with two chapters each. Part 1 treats perspectives of organisational excellence and effective leadership, 2 covers striving for excellence in Uganda and 3 examines the challenges and prospects of excellence and leadership.This is a book for all time Leaders, Managers and Academics.